HDPE (High Density Polyethylene) can be used in a variety of applications where chemical resistance, impact resistance, tensile strength and low moisture absorption is required. HDPE has good chemical resistance to almost all acids and bases, detergents and hot water. HDPE has good insulation properties and is easy to weld. The operating temperature of HDPE is from -50°C to +90°C. UHMWPE (Ultra High Molecular Weight Polyethylene) is a high abrasion resistance form of polyethylene with very good slide characteristics. This is due to the extraordinarily low coefficient of friction. The chemical and the crack resistance are optimised in comparison to the standard HDPE. The operating temperature of UHMWPE is from -150°C to +90°C. 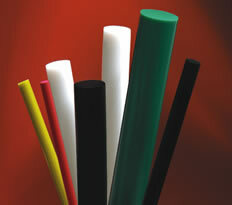 Macplas LTD is able to supply a range of Polyethylene solutions in sheet, rod, tube and a variety of profile forms.